Allyn Pierce could have driven his truck to a safe place while the nurse decided to drive back to the hospital in order to help save patients. Toyota couldn't resist them from offering him a new vehicle for his heroic effort. 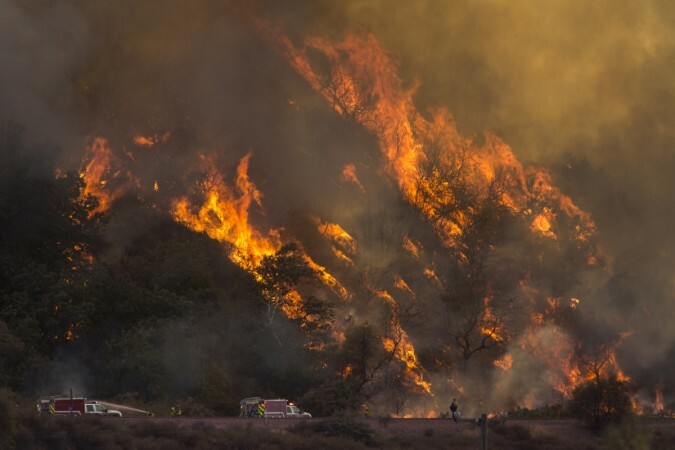 California's deadliest fire ever is creating havoc in the USA while the story of a nurse named Allyn Pierce who risked his life to save lives will help you to restore faith in humanity. Pierce, who manages the ICU at Paradise's Adventist Health hospital and his Toyota Tundra truck are the heroes of this real story. Like many trapped in the California fire, Pierce was stuck in the in the middle of the blaze in his Tundra, before a bulldozer knocked a burning truck in front of him out of the way. He could have driven his truck to a safe place while the nurse decided to drive back to the hospital in order to help save patients. 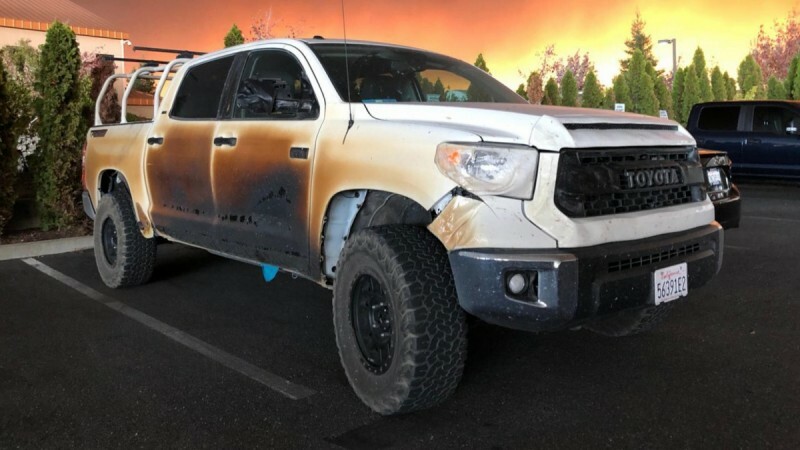 In the process, his Tundra practically touched the fire leaving many damages and melted parts including the wing mirrors and parts of the front bumper. However, Pierce has no complaints and in fact, put up a post on Instagram on how the Toyota truck saved his life with the photo of the charred vehicle. Here's my @toyotausa commercial. This truck literally saved my life today. My little town of Paradise was literally burning down around me and @the_pandra got me to safety where I could help others...twice. #campfire #perfectmarshmellow #meltedplastics #buttecountyfire #sema2019 thanks to the fire fighters, law enforcement and my fellow healthcare workers for the work we all did getting the hospital evacuated and our patients to safety. ??? "This truck literally saved my life today. My little town of Paradise was literally burning down around me and @the_pandra (the name for his vehicle) got me to safety where I could help others," posted Pierce. His heroic effort has been applauded by many over Instagram while Toyota USA's epic response attracted a lot of respect. We are humbled you'd risk your life and Toyota Tundra to drive people to safety," the official Toyota USA account wrote. "Don't worry about your truck, we're honoured to get you a new one," responding to his Instagram post, Toyota USA promised to replace his Tundra. Pierce apparently held his jacket against the window to save himself from the fire. He had a near to death moment during the ordeal and even recorded a goodbye message to his family- "Just in case this doesn't work out, I want you to know I really tried to make it out."